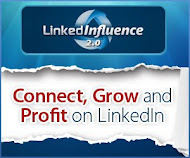 The above is an embedded post from Google+. "What is Hummingbird? How big a change is it?" Andrew Girdwood, Media Innovations Director, LBi: "Hummingbird isn’t an algorithm update. It’s a NEW algorithm and that’s incredible. It’s incredible because it’s a huge change and no one noticed."!! Did you notice this change? Totally NEW Algorithm!! - that's massive!! Has your page rank been affected by Hummingbird? Brief observation: What about you as a user - have you noticed how your search queries have changed? Are there more "how to' and "what is / are" type queries? I noticed we are doing this more - once upon a time we would use "Ask Jeeves" but these days more and more, Google is the go-to for all sorts of search queries. 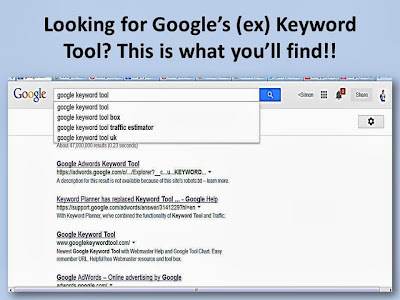 You may also be interested in the article below regarding the Keyword Tool. "Yesterday it emerged that Google is planning to encrypt even more organic search queries, thus removing even more search keyword data from sites. "The already tricky task of measuring natural search data has been made even harder by this latest move." 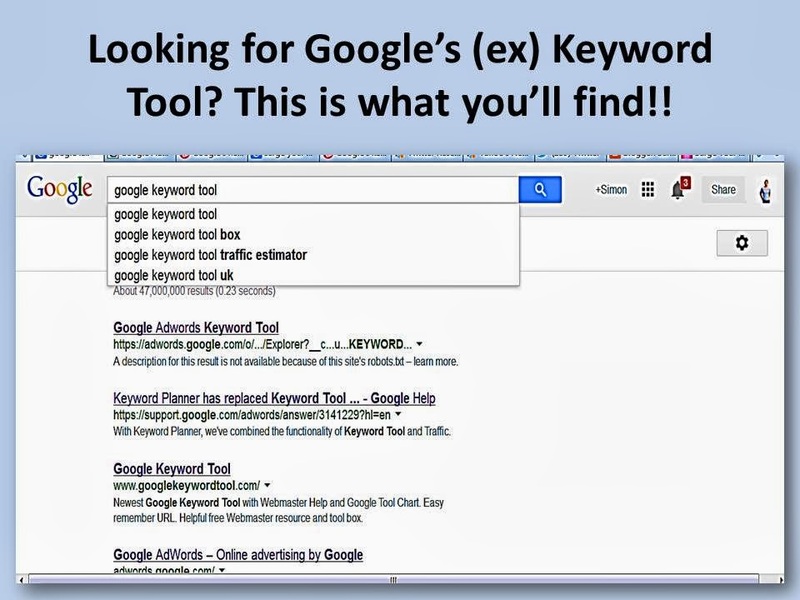 "What does the removal of (most of the) remaining keyword data mean for search marketers?" Rishi Lakhani, Search Strategist, explains. "We want to provide SSL protection to as many users as we can, in as many regions as we can — we added non-signed-in Chrome omnibox searches earlier this year, and more recently other users who aren’t signed in. 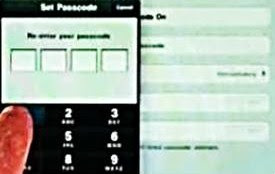 "We’re going to continue expanding our use of SSL in our services because we believe it’s a good thing for users…. The motivation here is not to drive the ads side — it’s for our search users." The consensus seems to be that this is not going to affect SEO professionals who are 'resilient' much .... that little players might struggle more while bigger players will have more resources to deal with this. Read on for the full details. The Chinese 'Crisis': This encryption of even more organic search queries could be seen as a 'negative' event in SEO history but then again this could be an opportunity for those creative souls to develop a "solution", then dominate the market and succeed (and profit) wildy? The race is on! And how will Bing and Yahoo respond? It will sort out the wheat from the chaff, not just with web-owners but with professional SEO players as well because of this "not provided" challenge (no transparency regarding referring traffic keywords that in the past was freely given with organic searches). What is the Chinese 'Crisis'? 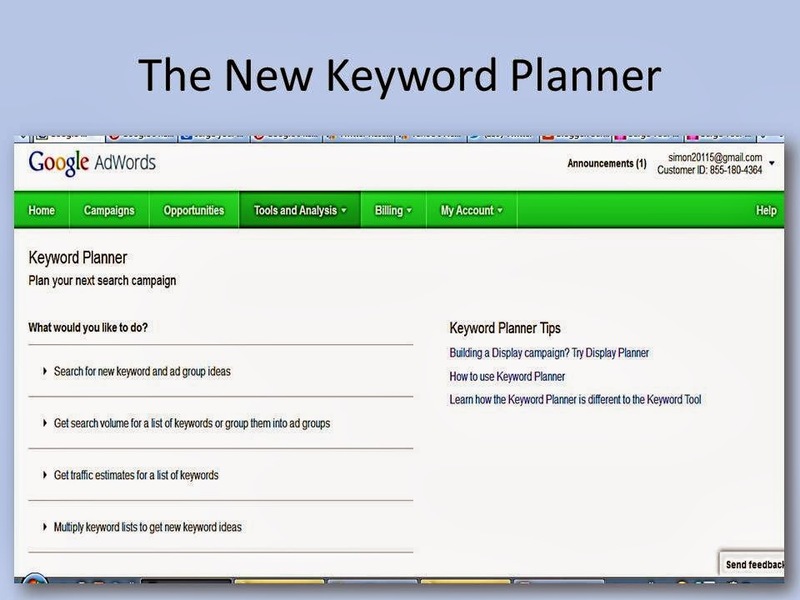 With Keyword Planner, we've combined the functionality of Keyword Tool and Traffic. 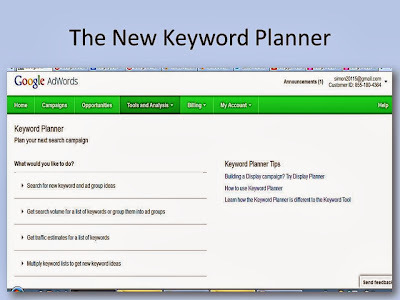 Newest Google Keyword Tool with Webmaster Help and Google Tool Chart. Easy remember URL. Helpful free Webmaster resource and tool box. Google's Keyword Tool omits many of the Web's best keywords. Learn how WordStream beats Google's Keyword Tool with continuous research and discovery. Aug 20, 2013 - I'll show you some viable free alternatives to our beloved Google Adwords Keyword Tool, along with pros and cons of each. Sep 13, 2013 - While I found that Google Keyword Tool was sufficient for most basic research it no longer serves that need very well. 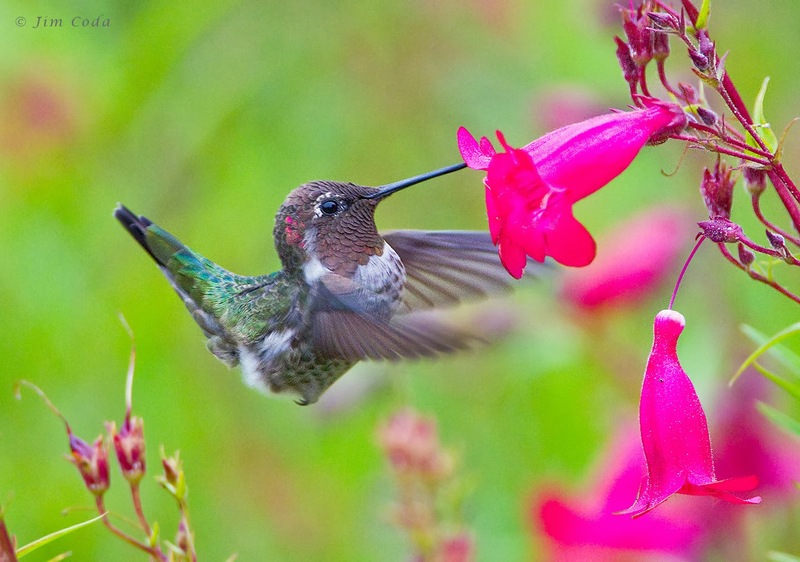 10 Ways Google's Hummingbird Will Shape Future SEO and Content Marketing Very good article.